Rosenfeld Injury Lawyers LLC is pleased to represent people injured in Aurora, Illinois motorcycle accidents. 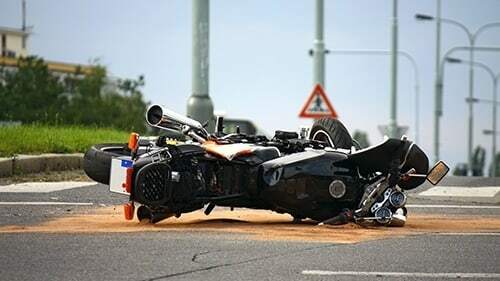 If you or a loved one was injured in a motorcycle crash, our attorneys can assist you in obtaining the compensation you are entitled to under Illinois law. Contact our office anytime for a complimentary case review of your situation. Many bikers in the Aurora, Illinois area enjoy taking the 90-mile round-trip adventure to Starved Rock Run State Park just outside Oglesby. The two-lane blacktop leisurely ride provides minimal congestion along the many farmlands on 71 south heading out of Oswego. There are numerous twists and turns just before entering the picturesque state park. Stop along the way and spend leisurely hours enjoying countless small-town restaurants and shops away from the hectic hustle and bustle of city congestion. The trip takes bikers and passengers through Newark, Norway, and Ottawa where the last part of the journey follows the Illinois River into the nature preserve and state park. Bikers should be aware of the sometimes congested roads when many vacationers take this route during the summer months to visit Matthiessen State Park and Senachwine Lake just a few miles further down the road. A fatal motorcycle accident occurred in Aurora in September 2014, when a biker and female passenger collided into a 2011 Nissan Sentra, allegedly turning left in their pathway. Both motorcycle victims were found lying near the intersection of Montgomery Road in Hill Avenue around 9:30 at night. The motorcyclist was transported to the Aurora hospital where he succumbed to his injuries from the collision. The female motorcycle passenger suffered serious ribbon back injuries and was transported to a Chicago area hospital. The driver in the Nissan Sentra was ticketed for failing to yield on a left-hand turn. A motorcycle collision with a semi-trailer truck in North Aurora claimed the life of a biker in July 2015. The incident occurred at Route 31 on westbound 188 at around 11:30 AM on a Sunday morning over the Fourth of July weekend. The biker was transported to the Downers Grove Good Samaritan Hospital where he later succumbed to his injuries. Any time a motorcycle collides with another vehicle or object, the biker and passenger are at significant risk of severe injury or death. Survivors often suffer catastrophic injuries that could include traumatic brain injury (TBI) spinal injury, multiple fractures, internal organ damage and paralysis. Motorists turning left at an intersection into the pathway of on-coming biker. Limited visibility where another driver never sees the biker on the roadway. Unsafe lane changes by either the motorcyclist or distracted driver. Broadside collisions where a biker hits a vehicle running a stop sign or red light. Rosenfeld Injury Lawyers LLC know that bikers often face mounting problems when seeking financial compensation for their injuries and damages in a motorcycle accident. In many situations, insurance companies exploit the prejudices against motorcyclists as being reckless and irresponsible and will either delay payment or denied the claim altogether. Our team of Aurora motorcycle accident attorneys will protect your legal rights and push back against claims adjusters and high-priced attorneys representing the distracted driver who caused the accident. If you have been injured in an Aurora motorcycle crash, we invite you to call our personal injury law firm at (888) 424-5757 today. We can build your case to negotiate with the insurance company or present your evidence in front of a judge and jury. We understand the financial, personal and health challenges you face and fight aggressively to ensure you receive the monetary recompense you deserve.